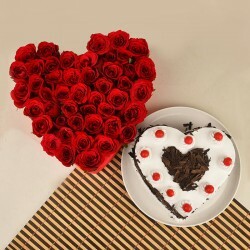 Valentine's Day is the occasion when people show their feelings of love and affection for their beloved. No flower better epitomize love better than Rose. Send Valentine's Day Roses to her that are creatively wrapped in a bouquet and tied with beautiful ribbons and make her day an unforgettable one. Nothing woos a woman better than a bunch of freshly-picked roses and if you want to make her feel special then, buy Valentines Day roses for her from MyFlowerTree. Roses have always been a symbol of true love that never fails to express your deepest emotions for your beloved, especially on Valentine’s Day. We know that one thing that every man find difficult is buying a gift for his girlfriend or wife on every special occasion, And, when it comes to celebrating Valentine’s Day, the expectation of your girlfriend rises from you. One of the beautiful ways to meet all her expectations on Valentine’s Day is to get a freshly-arranged bouquet of roses for her. Now, if you are wondering where can you get fresh roses for your Valentine from? Then, let us tell you that you are at the right place. 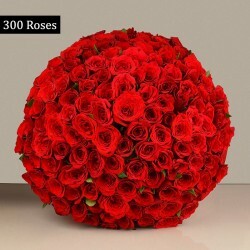 Unlike a local florist, MyFlowerTree provides you a wide variety of Valentine roses for girlfriend that are fresh, beautifully arranged, and are available in various colors like red, pink, yellow, white, and many more. From beautiful rose baskets to heart-shaped arrangements, your girlfriend would not be able to take her eyes off our gorgeous rose bouquets for Valentine’s Day. 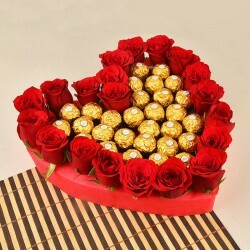 So, this Valentine’s Day, make her feel loved and pampered with our mesmerizing collection of Valentine roses for her. On Valentine’s Day, every couple looks forward for spending the time together. 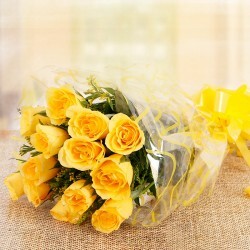 But, for some couples, who are in long-distance relationships, it becomes difficult to celebrate the occasion together. But, now to make your long-distance girlfriend feel your presence on Valentine’s Day, you can send Valentine roses for her online from our online flower shop and thank us later. If expressing your love for someone has always been a difficult task for you then, worry not because MyFlowerTree has got your back. This Valentine’s Day, articulate your feelings of love and care for your girl with our range of breathtaking Valentine’s Day roses. 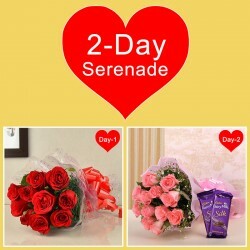 Want to plan a Valentine surprise for your girl? If yes, then, here is a great deal for you. 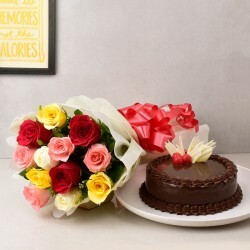 MyFlowerTree offers you its online flower delivery in more than 350+ cities across India via which now you can surprise your beloved by getting a bouquet of gorgeous roses delivered to her doorstep on Valentine’s Day. Whenever you order something online, one thing that concerns you is the on-time delivery of products. 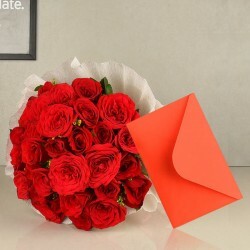 We, at MyFlowerTree, totally understand your concerns and therefore, promise to deliver Valentine rose to your girlfriend’s doorstep on time. 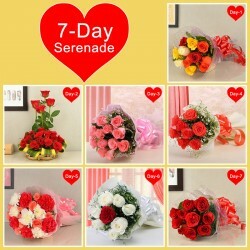 We provide same day flower delivery to our customers on Valentine’s Day. 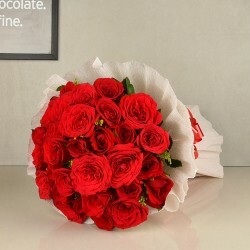 So, you can be assured of the fact that your ordered roses will be delivered to the correct address on the right time without any hassle. 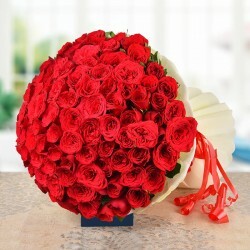 We also deliver Valentine roses to foreign countries like USA, UK, UAE, Australia, Canada, Qatar, South Africa, etc. So, if you have someone special in these foreign cities then, surprise her with a gorgeous bouquet of rose on Valentine’s Day with us. Products in this category have been rated 4.6 out of 5 based on 112 reviews.